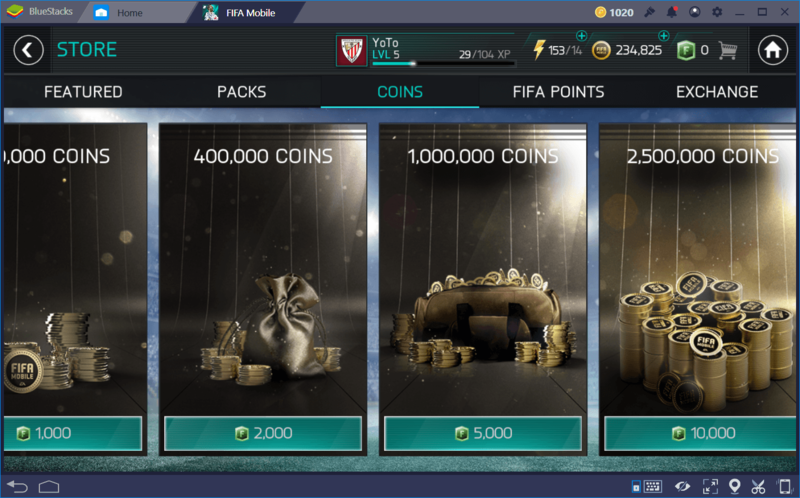 Since its beginnings, FIFA Mobile has always made use of two types of currency that are used in all the transactions that happen in the game. These currencies are FIFA Coins and FIFA Points. The latter can only be obtained as a one-time bonus at the beginning of the game, which grants you 1,000 Points that you can spend on anything you want. Other than that, the only other way to earn Points is by investing real money in the Store and buying Points packs. Coins, on the other hand, are the game’s most common currency, used in basically everything except for buying stuff on the Store. 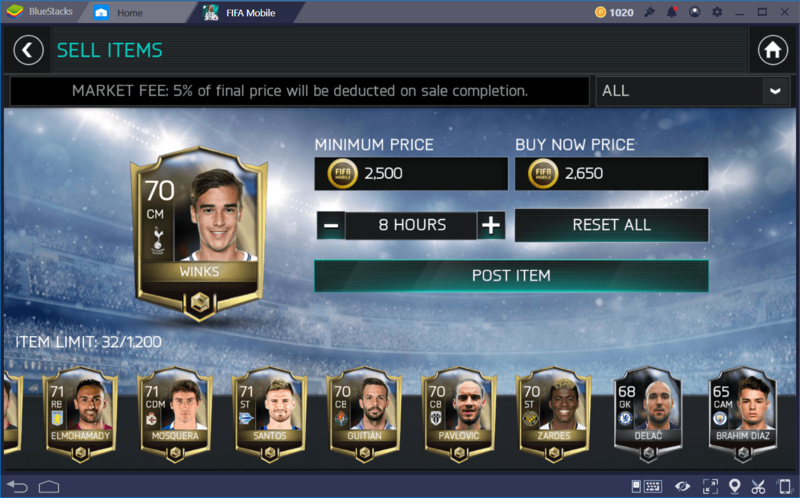 Most actions reward the player with Coins, and this currency, in turn, is the only way to trade in the Market, where managers can engage in negotiations to buy and sell all types of player cards, trophies, and crests, among others. If you’re looking to partake of the transactions happening in the market 24/7, you’ll need lots of Coins, as this is the only type of currency accepted there. In that sense, in order to strengthen your team, you’ll find that you might need much more coins that what you make playing normally, which can make reinforcing your squad an absolute hassle. 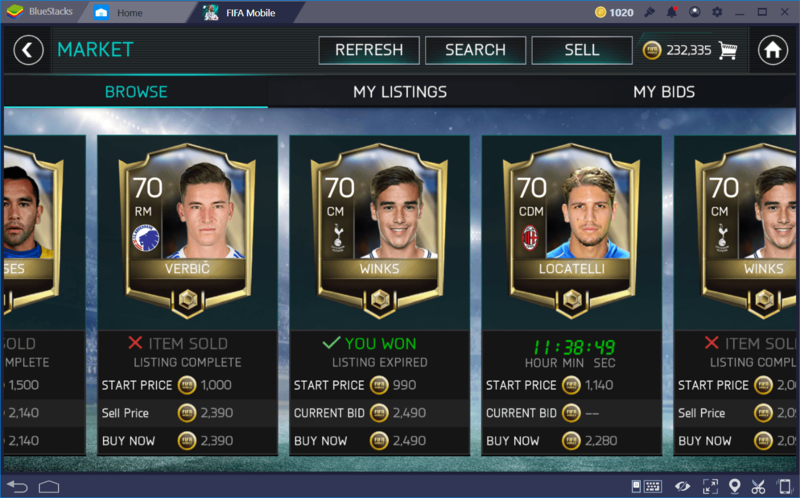 Sadly, it seems that, with the passing months, EA has made it progressively more difficult to make Coins, to the dismay of many players. This is, however, not unheard of, as developers tend to nerf stuff once they see that players are running rampant. Case in point, money was simply too easy to make, and cards would go for insane amounts of Coins in the Market because of it, which made matters more difficult for beginners who wanted to improve their teams. Nevertheless, while Coins are somewhat more difficult to earn nowadays, it isn’t impossible to set up a system that will net you a steady income, especially if you have a keen eye for entrepreneurship in the Market that will allow you to spot the best offers and make profits out of reselling them. 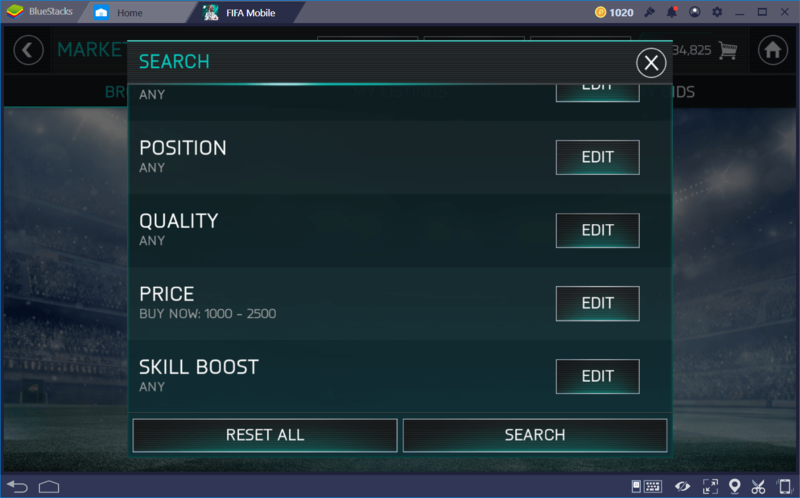 That being said, in this guide, we will go over a few important tips that you can keep in mind to maximize your gains in FIFA Mobile, and hopefully make enough money for your team building purposes. It seems like we’ve mentioned this at least several times before in different articles, but one of the best ways to not only make money but to fine-tune your team’s strengths and iron out its weaknesses is by participating in the Market. 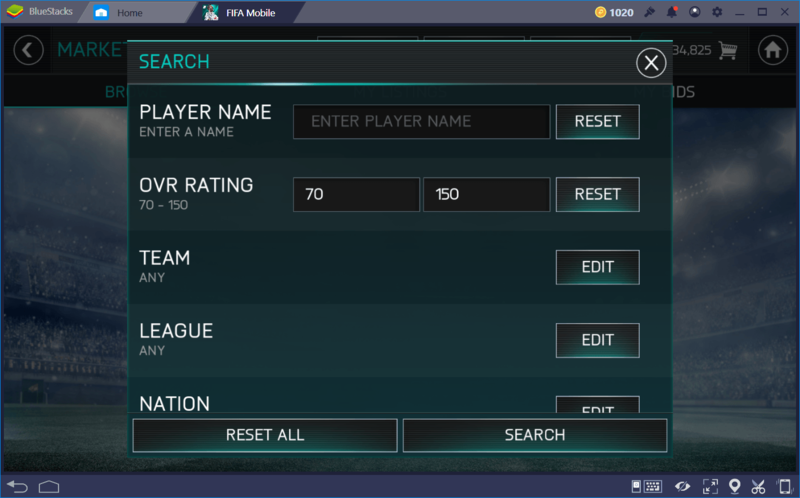 This is, by far, the easiest and most hassle-free way to make money in FIFA Mobile, if you have the patience for it. If you’re committed to seeking your fortune in the Market, then you’ll want to buy low and sell high. 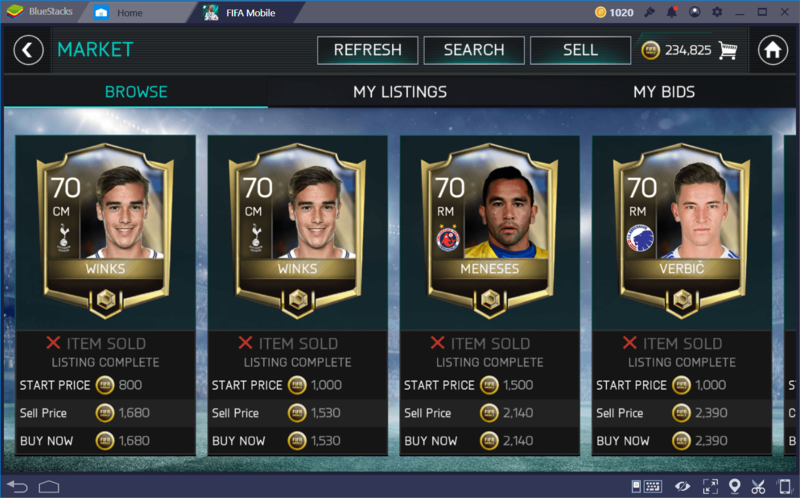 To make things easier for you, when browsing for good sales and cards that can be flipped for more value in the Market, set your filters to players rated 70 OVR and above, with their Buy It Now (BIN) price set to at least 1,000 to 2,500 Coins. You can play with these values to find ones you’re willing to invest on in order to resell for more money later, but try not to go bankrupt by tossing all your money on a single card; that’s not the point. 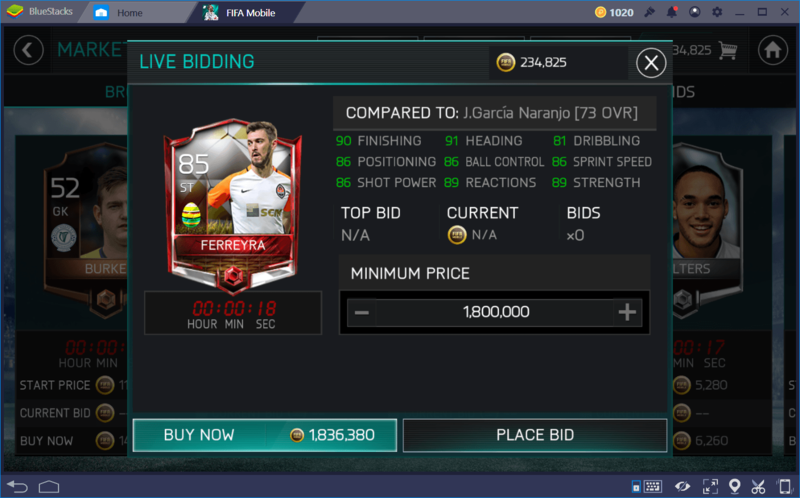 Your goal here is to find proficient player cards that other managers haven’t found, and bid low so that you can potentially earn a decent card for very low prices. Once you have your new card, it’s time to resell that baby! However, don’t go crazy just because you bought it cheap. When setting up your own auctions, try to set the bidding price a few hundred Coins above what you paid for it, and setting the BIN a few hundred coins above that. The idea is to play market subtly, and not single-handedly causing it to crash because you tried to undercut/overcut other managers. When you have found your ideal selling prices, and are satisfied with them, set the auction timer to last around 8 hours. If the price is enticing enough, most players won’t have the patience to wait out the timer, and will instead buy the card through its BIN price, netting you a bit of profit in the process. As you keep repeating this process, you’ll rake in money little by little, which you can then use to invest on better cards, which are worth more and will give you better profits per sale. However, you need to always stay aware of how market values evolve, as card prices tend to fluctuate. In this sense, you must constantly consult the prices of the cards you’re currently auctioning to check if they’re still competent. The only other fast way to earn money is by taking part in some of the game’s live events. 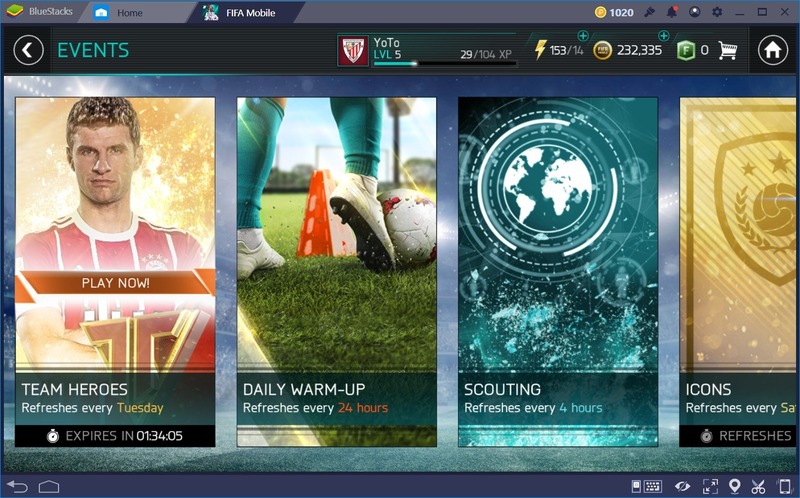 You can refer to our Events Guide for FIFA Mobile to know more. Granted, not every event gives good money per run, but there are some that can positively make you wallet burst at the seams after only a few runs. Remember that the first event you complete after the clock refreshes will net you a nice bonus. If you pair this bonus with an event that naturally grants you lots of Coins, then you could potentially strike rich if you’re lucky enough. Other than that, keep an eye out for the Road to Riches event, which appears as a one-time event on Fridays, and as a repeatable event on Tuesdays. After completing this task, you will receive a coin that can be used for a chance to receive between 100 and 25,000 Coins. If you’re looking to complete events, remember to always play on BlueStacks, our Android emulator that will improve your odds of success through its better controls, better graphics, and the possibility to play on a much larger screen. You can unlock Season Mode upon reaching level 8, which might take some time if you’re just starting out. Nevertheless, the matches in this mode give pretty enticing rewards for their completion. In contrast to Attack Mode, which grants the player around 250 Coins per match, a Season match can give 400 Coins for a draw, and 800 for a win. Furthermore, there is a chance that you could also earn trophies for your troubles, which can be upgraded through trophy plans, and sold on the market for ridiculous sums of money. 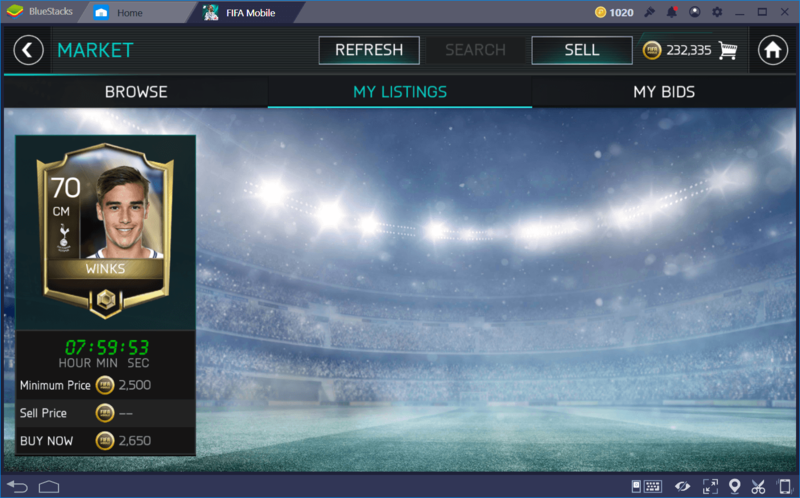 These are the tips we found worked best for us when it comes to making money in FIFA Mobile. Do you know any better ways to strike rich in this game? Feel free to share them in the comments section below!